I was so taken with the Wild West Skirmish game we played recently that I decided we needed some terrain. 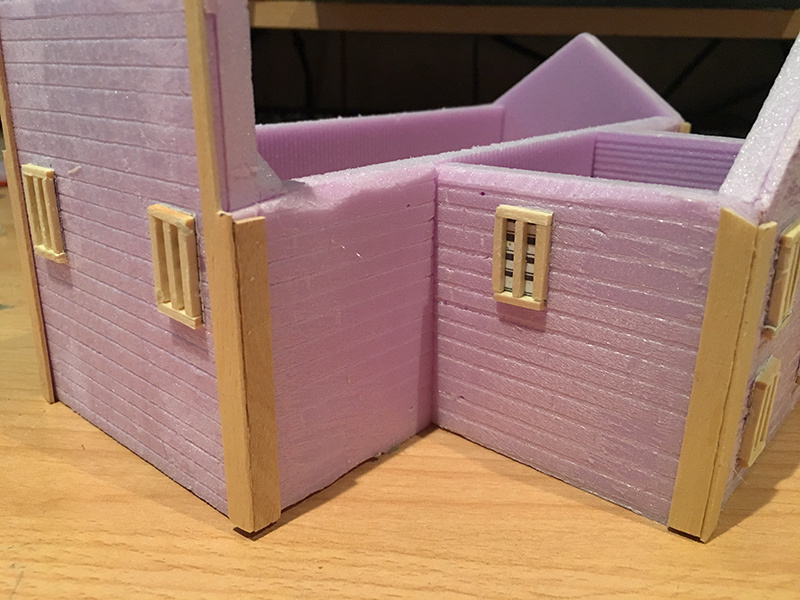 I’m currently into making terrain with underfloor heating insulation foam which I used to make my hex terrain wargaming table. I just lacked some plans. 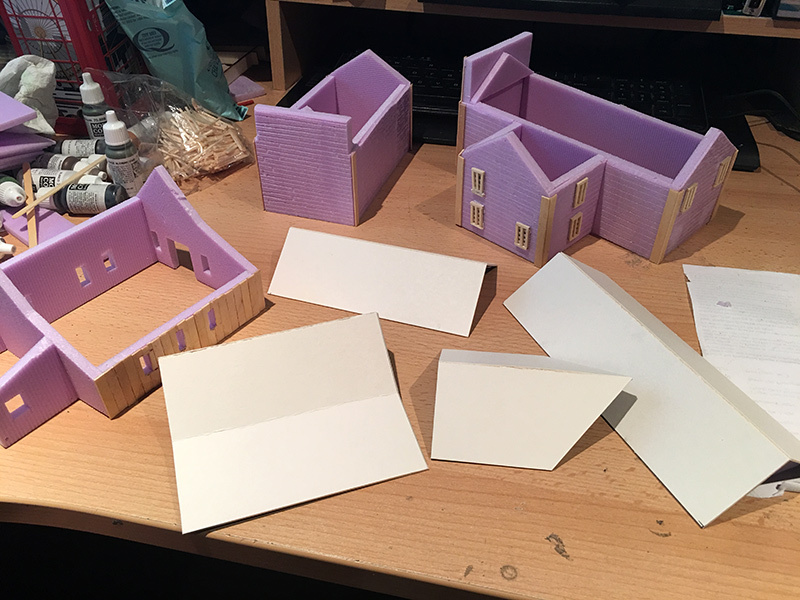 I popped over to the Wargame Vault where I have previously bought plans for buildings and promptly downloaded a set of buildings for a wild west town. The set I got was the Starter Set for Whitewash City. The set contains 15 different buildings designed by Eric Holtz. The blurb says they are all based on real buildings of the Old Wild West. The PDF file has two sets of plans for each building, one in colour and one in black and white. They are designed to be printed onto card and constructed. 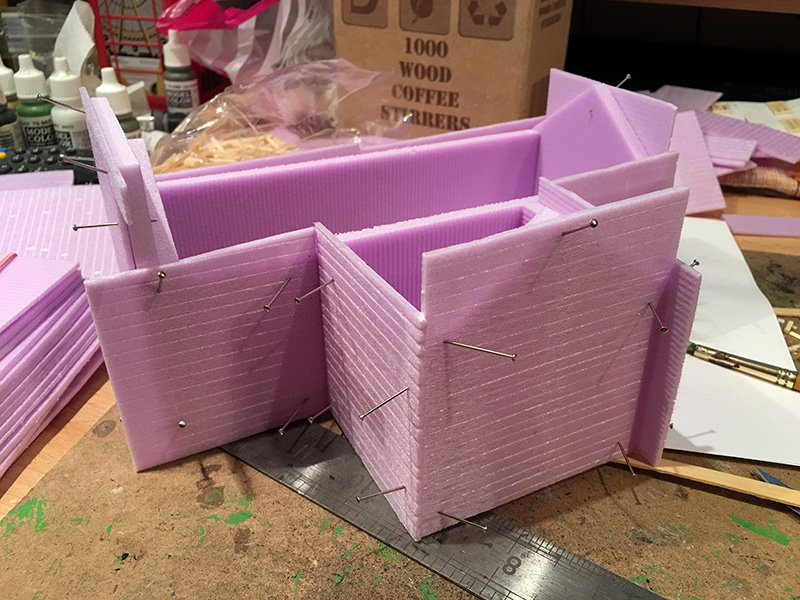 I printed the black and white plans out, cut out the templates, pinned them to the insulation foam and then cut out the foam. Each part gets glued together, I use basic wood glue. I’m trying out a couple of different methods of detailing the foam. So on one building I am sticking wooden coffee stirrers to the sides to replicate wood. One others I’ve scored wooden planks into very thin sheets of the foam and stick those to the walls. 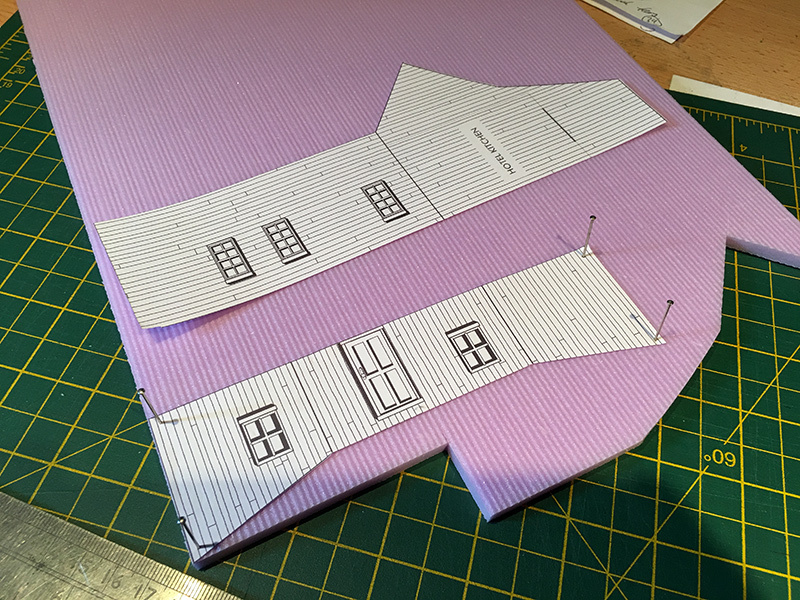 Roofs are made of mounting board card and then the thin foam is detailed and stuck to the card. I’ve managed to replicate roof tiles on a couple of buildings and corrugated metal on another. On the first building I made window frames out of matches but on the others I’ve just scored window details into sheets of foam and stuck those on. I’ll see who they look when they are all painted up before deciding which method to stick to. 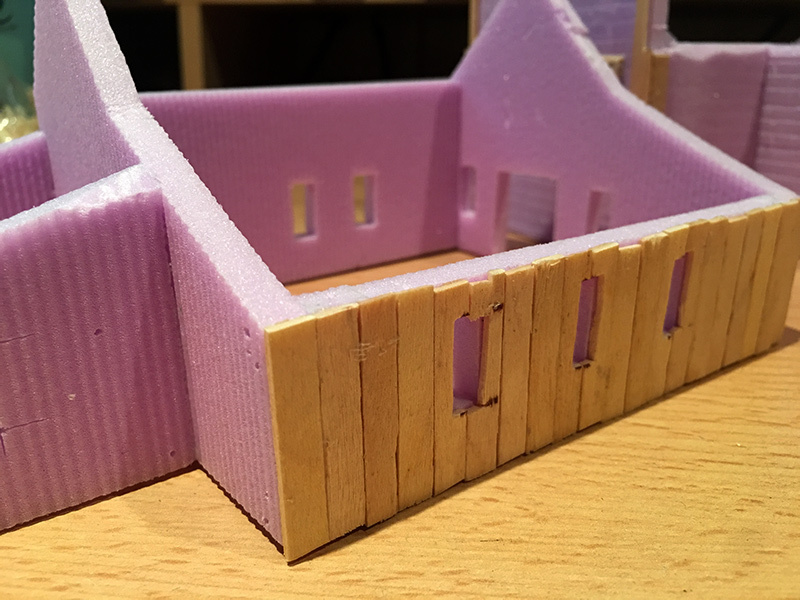 I’m certainly enjoying making these buildings and will probably get some more in due course. You can purchase the plans from the Wargames Vault.